Hi guys, this is my latest personal work. 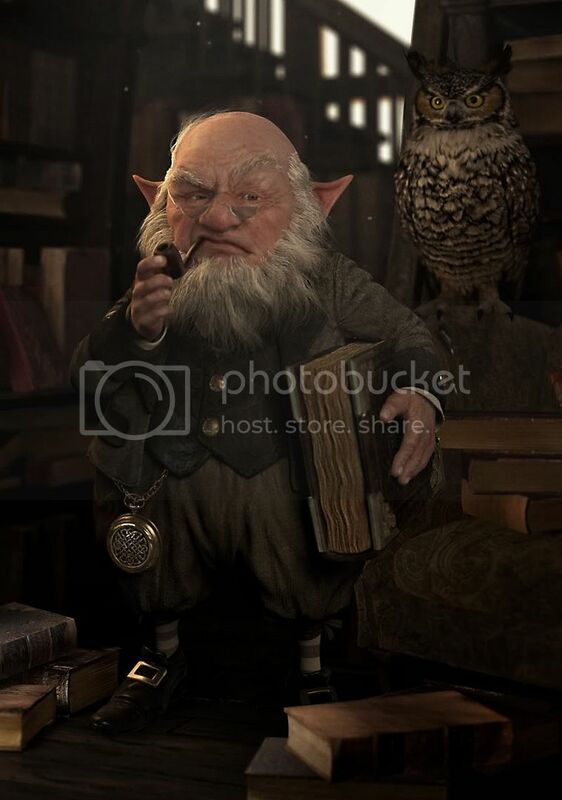 I want to create a grumpy old goblin in an old library. Inspirations come from world of Harry Potter and also the works of Jean Baptiste Monge. As usual, any input are very welcome.Thanks for viewing! Fabulous atmosphere and character. I do feel you have a few minor issues with shadowing here and there, basically just a lack of contrast in places - the hand holding the pipe is a particular trouble spot here. I also think the depth of field in the foreground looks weird, surely there shouldn’t be any DOF on those books at the front? Aside from these, it’s a really nice image. Time to get some fresh stuff on the frontpage for the new week. Great work! Goblin character is amazing Also I love atmosphere very much. Very nice. Only crit would be on the Owl. Im assuming its alive since its perched on the chair. A stronger less symetrical pose would help breath a little life into it. leigh : wow many thanks for you for putting me up there! digitalinkmind : hey, good to see u here man thanks for the comments! I saw it on Front Page, but it is not now there? Something hapened? Wow wonderful image. Great mood and atmosphere. I agree with others about the owl though. Its talons is not griping the chair (and probably cause a big gash). It would be more appropriate if it is on a perch. Is his pipe for smoking or a display pipe just holding in hand and emoting with? nice mood and great work. Yeah there was some technical issue last night but it’s been fixed now, and it’s back on the front page.